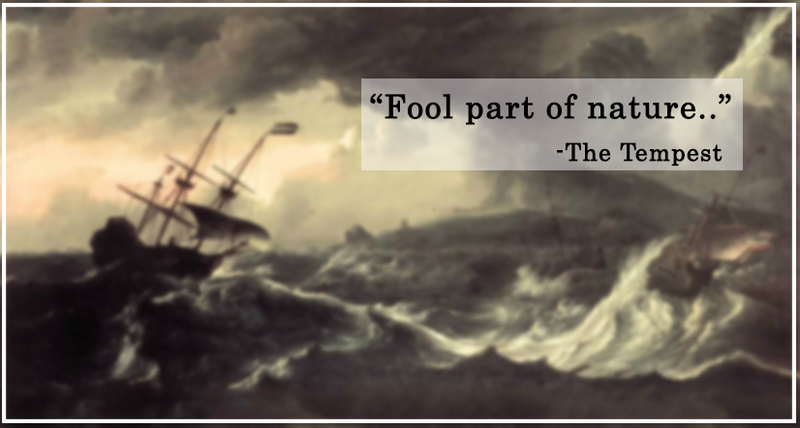 Of all the depths it beholds, from currents crashing with the rage of waves to smoothness of the calm ocean , all appertain to a single asset, “The Phenomenal William Shakespeare”. The revolutionary Renaissance, the cataclysmic World Wars contain an important part of history , but the literature of history is incomplete without the allures of Shakespearean tragedy. Have you ever read Shakespeare? Some of you might find it boring but if you have gone deep into his violent delights of philosophy, I bet you would have goosebumps while reading them. Nightmares never touched the soul as the obsession of his novels did! The satirical humour with the melancholic sadness makes him an ironical novelist of gains. Metaphorically, his cognizance flaunts from the ‘Top of the mountains’ to the ‘eternity of Darkness’ which makes him the best writer in the world’s history! A quintessence of “Romeo Juliet” will make you emotionally connect you to its romantic theme. 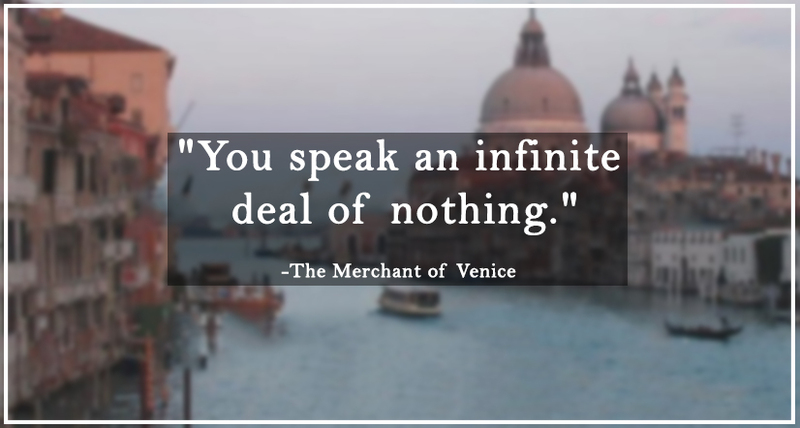 A sample of tragedy in “Merchant of Venice” will engulf you in dilemma with the suspense uprooted in it. The line above is a glare of the circumspecting atmosphere in this novel. 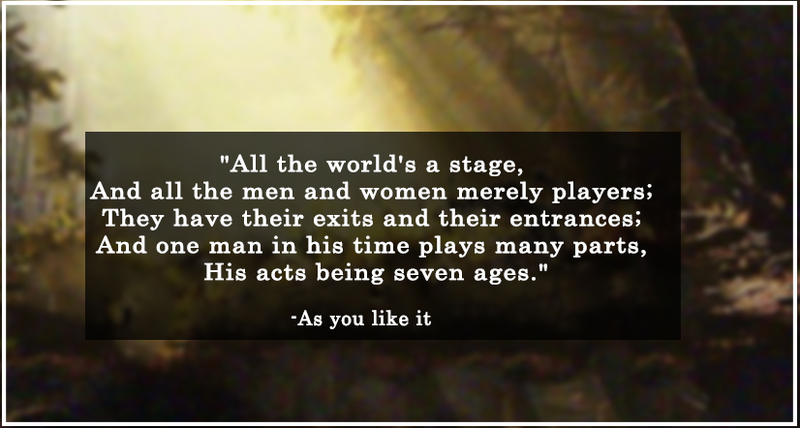 * The deep philosophy in “As you like it” will give you a chance to ponder over the difference between verisimilitude and contrivance. These lines in the novel serve as an epitome. It demonstrates the tranquility of nature . Shakespeare not only shows the pragmatic attitude in his work but also the realistic nature of his characters. I admire him , adore his works. His supernaturalism occupies a part of my veins and his exemplary writings flows blood into it. If you haven’t read Shakespeare , then what are you waiting for? It’s never too late to begin. Shakespeare is the incarnation of the beginning and the end. His work is as impeccable as the dead past , an alive present and an alluding future. In a dark room, even a lamp light is enough to give luminescence and peace. Such is the feeling we beget from his works. We carry it with us, within us. If you want peace , don’t search for it!